SEVILEN is located in breathtaking Western ANATOLIA covering from Izmir to Denizli Turkey. It’s a landscape where sparkling rivers such as Great Menderes run between ancient historical ruins, and traditional rural hamlets. From here over 70 years, three generations of the Guner family have used only the best natural ingredients and raw materials to produce exemplary award winning wines. Representing the utmost in quality and purity, Sevilen Wines delight the eye as well as the palate. The range is packaged in sensational hand-blown bottles designed by and crafted by skilled master glass blowers at a local glassmaking facility, in the tradition of an art-form developed in Turkey. For Sevilen Wines, respect for the environment has become a critical part of winemaking process, and visitors to the Magnesia Winery can see for themselves the numerous eco-friendly programs the vintner and master distiller has implemented to help reduce the company’s carbon footprint. These initiatives include the use of organic fertilizers in all their vineyards and eco-friendly packaging. The company’s new headquarters, and distillery are also “green,” powered by renewable energy sources (geothermal and biomass respectively). Both the company’s corporate headquarters and its state-of-the-art distillery located in Magnesia, Ortaklar welcome visitors. 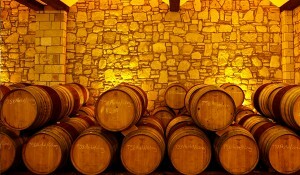 Tours are available by appointment and include a visit to the distillery (production process, distillation and storage techniques, where visitors can purchase a range of Sevilen Wines.